Forest Hill seems to be unusually blessed with it: the Horniman, the library, and also I've noticed the stained-glass windows of the flats on London Road bisected by Taymount Rise. Has anyone noticed any more? And any ideas as to why there's so much in the area? I'd love to know if there were more key sights/sites. 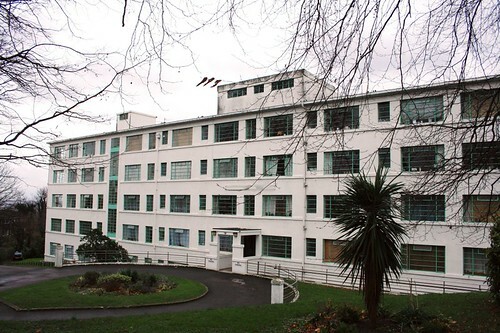 Yes, there is deco stuff like those you mention, as well as Forest Croft up the top of Taymount Rise - all of which I love. Was specifically thinking of nouveau stuff, though, as there's so little of it in london in general (as opposed to deco, of which there's loads - see any episode of Poirot for evidence!). Happy to extend the thread to deco, too, though! point taken - I should have read more carefully! However, I admit that although I am aware of a distinction between art nouveau and art deco, I could not give you a list of 3 things that would separate one from the other (in architectural terms). Any pointers to get us started? I believe its to do with straight lines/angular sections - deco- as opposed to curves- nouveau. Also the period in addition to style ie nouveau from early 1900's up to late 20's. Deco style is more varied according to location, ie modernism in US, de stijl in Netherlands, etc. Not a comprehensive assessment but a start. Yes, the curves/straight lines thing is a good distinction. Nouveau is seen as 'feminine' and deco 'masculline' (whatever that's supposed to mean!). Nouveau is also often flowery and plant-based, whereas with deco you get the ziggurart and egyptian motifs. 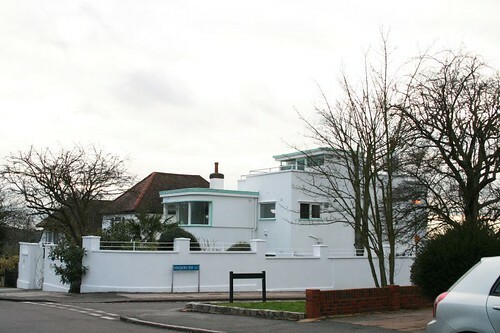 With late deco (streamline moderne) stuff, it's all very white and sleek, often influences from the steam liner and jets (round windows, long corridors, curved walls etc) and occupies a kind of pre-modernist slot. You can see the nouveau/late deco distinction really clear if you compare the Horniman with Taymount Rise for example - really different styles. Some good points made re- relative styles. The problem is that there is not a great deal of either real Art Nouveau or Deco in the UK as they were viewed with suspicion as nasty foreign styles. The sublime DelaWarr Pavilion in Bexhill was heavily criticised at the time for being too continental and worst of all, designed by a Jew!!! Now thankfully we seem to be more enlightened (although sometimes I wonder). The closest we got to Art Nouveau was Arts and Crafts so we should be very proud of the Horniman as it is probably one of the most faithful to AN we have in this country (along with the Whitechapel Gallery by the same architect). We should also be proud of our inter-war examples with Six Pillars as an outstanding example of modernism and Welcome Aboard as a more commercial and acceptable Deco version. I rather like "Regina" just along from Welcome Aboard - pure and simple and nicely looked after. Sorry, I will take my anorak off now and calm down with a quick fan with a copy of Blueprint. Phew! thanks, theotherbrians Where's Six Pillars? And is Regina the Arts and Crafts house that I remember Steve Grindlay pointing out on his walk of FH, or is it something different? but don't forget Charles Rennie Mackintosh.. his stuff is legendary and all over the west of Scotland. He is Dave West of the Heyjo Club. Cherie Booth is advising him. RE: the previous post - have I missed something? I think this post relates to the smoking in bars thread. Wow. That's great, ht. Had no idea there was a Lubetkin building nearby (a big fan of Finsbury Health Centre). Will check it out. I noticed more of the nouveau style stained glass on the doors of Prince's Garth further down London Road (opposite Sainsburys). Does anyone know if they have any such features inside or is it just the glass? I do wonder why we have such a clump of it in FH, especially considering how rare it is in the UK, as theotherbrian says.